Special holidays aren’t very common in most countries, unless there’s a very important event underway. Considering that there will be a major event this coming February 5 in line with the scheduled interfaith visit of Pope Francis in the UAE — a first in the region and in the history of the Arab world — the government pretty much figured this much when they were organizing the event in the background. The Ministry of Human Resources and Emiratisation (MOHRE) announced that February 5 will be observed as a holiday for private sector employees who will be participating in the historic Papal Mass in Abu Dhabi. The decision aims to support employees in the private sector by allowing them to take part in the event. The holiday, however, is only limited for employees who were able to register and secure permits for the event. The Papal Visit in the UAE is a historic event, being the very first visit of a Pope in the MENA region. 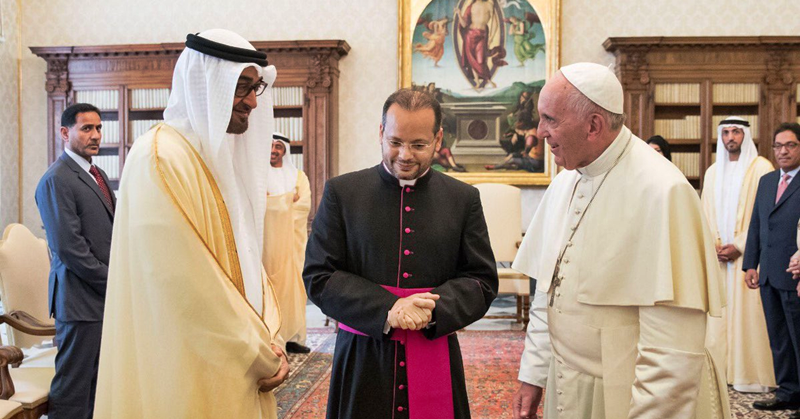 Carrying the theme “Make Me a Channel of Your Peace,” the visit is considered a positive response of the pontiff and the Vatican to the invitation of His Highness Sheikh Mohammed bin Zayed Al Nahyan, Crown Prince of Abu Dhabi and Deputy Supreme Commander of the Armed Forces of the UAE. Members of the Catholic faith are called to exercise restraint and cooperation for the smooth flow of the event, which will be headed by the Papal Mass Team in partnership with the UAE government. In line with the UAE’s theme for 2019, “Year of Tolerance,” the visit will be part of the celebrations of the International Interfaith Meeting on Human Fraternity.